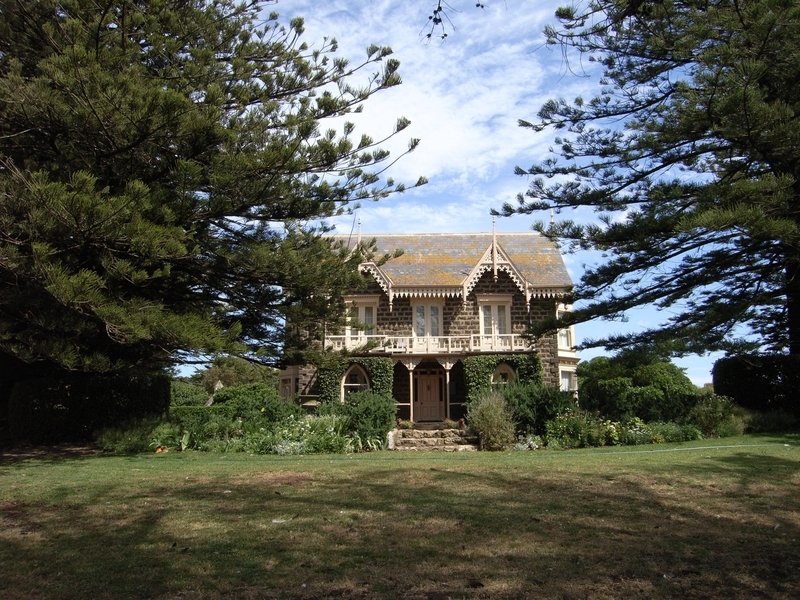 Talara is located on a rise beside the road to Portland a short distance outside Port Fairy and, with its setting and views, can be described as a villa. The first section, a single-storey, two-room, bluestone 'cottage' later used as a kitchen wing, appears to have been built in 1856. The owner was Dilmond John Howes, the first Secretary and Engineer to the Shire of Belfast. It is very likely that he designed and built the main two-storey, bluestone house of ten principle rooms and offices. The picturesque Gothic revival style, combined with the villa form, is rare in Victoria but characteristic of the use of architectural pattern books, particularly mid-nineteenth-century American editions. The porch with its pair of Gothic 'pavilions' is most unusual. The internal lobby and hall with their wood grained joinery are notable, as is the Gothic stair balustrade. The symmetrically disposed side bay windows are more classical in their detailing and have different glazing, the eastern bay's blind glazing and ventilator being of special interest. The rendered stone building, which was added in 1886 as a new kitchen and pantry, has semicircular arched windows. Andrew Vernon Suter owned Talara from 1878 and, in 1894; he sold to Joseph Powell whose family remained in ownership until 1945. Mrs Dunbar was a major owner subsequently. The house retains a high degree of integrity and is in excellent condition. Talara is of aesthetic, architectural and historical significance to the State of Victoria. 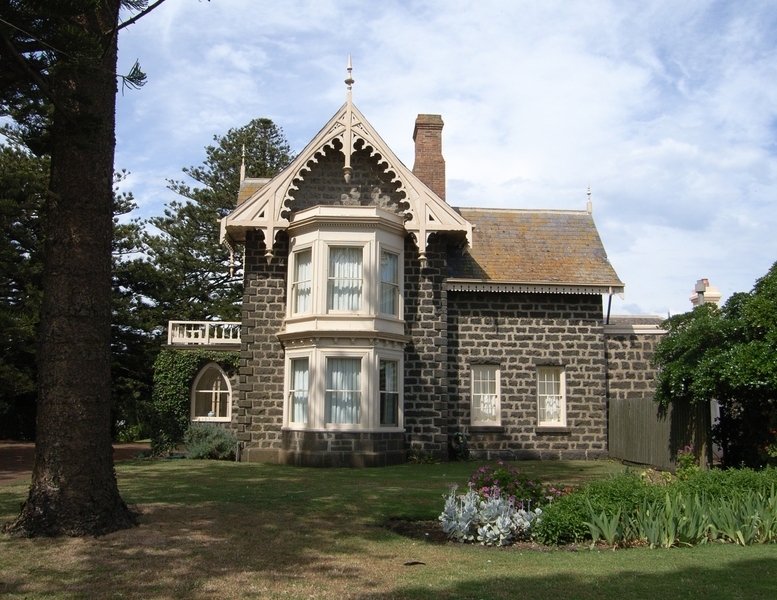 Talara is significant as one of the few examples of a Gothic revival villa in Victoria and for its use of the Picturesque aesthetic developed in and promoted by architectural pattern books during the nineteenth century. It is all the more important for its elaboration and the integrity of its setting. Its designer and first owner D. J. Howes is of historical significance as the longest serving municipal engineer in the colony, notwithstanding the turbulence of his period of office. Furthermore, his first wife was the sister and his second wife was the daughter of Howes' friend, the pioneering physician and philanthropist, Dr John Singleton. 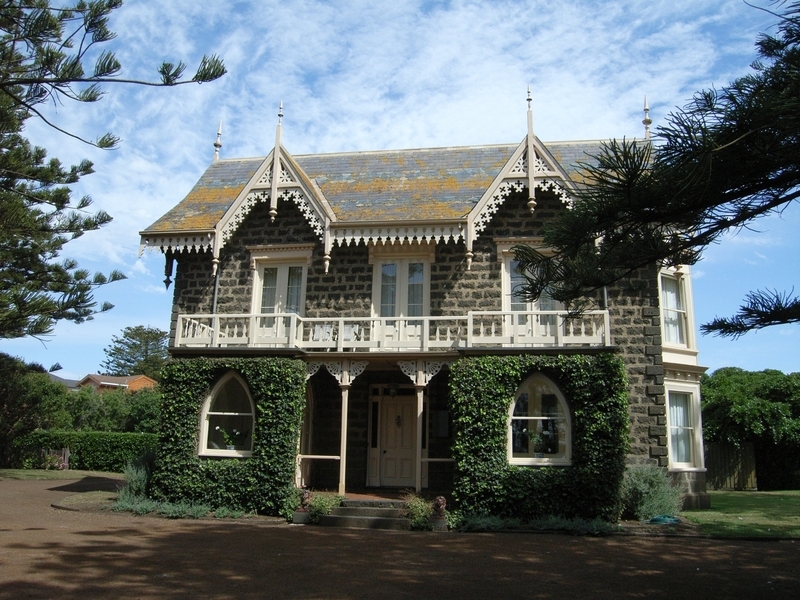 Borough of Port Fairy. No. 255. 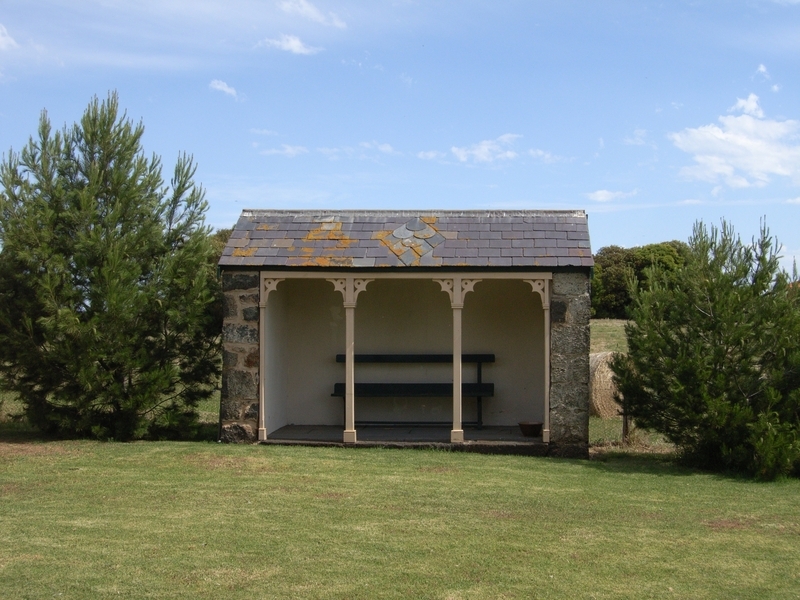 Talara, Princes Highway, Port Fairy. Painting of all buildings, except existing non-painted surfaces such as the bluestone walls, where the colours and types of paint used are traditional to the nineteenth and early twentieth century. 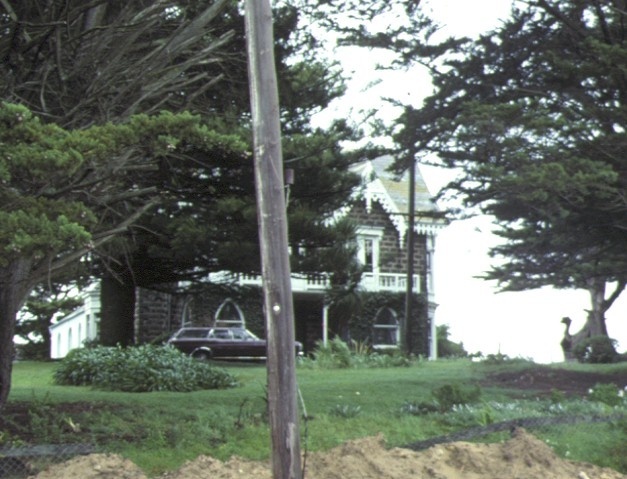 Minor landscaping, e.g. plantings, paths, gates and fences. Routine maintenance, e.g. replacement of defective joinery with the like, electrical rewiring, plumbing repairs, etc. All non-structural works to the octagonal garden shed, the garage, the coach house, and the stables. Interior decoration to the main rooms which involves painting, papering and fitted floor finishes but no works which require the removal of joinery, plasterwork and structure. The existing wood grained joinery in the lobby and hall is not to be repainted without a permit. Alterations to the kitchen to the extent of new fittings and surfaces which are required to meet health and safety regulations. Alterations to bathrooms and laundries and toilet areas to the extent of new fittings and surfaces which are required to meet health and safety regulations. the front and side gardens be landscaped to reflect the later nineteenth century period with the replication of the original fence and gates strongly encouraged.